Pinebrook Park City, Utah is appealing to those who prefer being a little further from Park City but still want to be surrounded by spectacular mountains. Pinebrook is located near the northwestern edge of Park City, UT, off I-80, via the Jeremy Ranch exit. The Pinebrook area of Park City has a community park, grocery store, restaurants, and great trails for hiking and biking. Pinebrook Homes for sale cascade down the scenic hillsides with several Pinebrook condos and townhome complexes located at the base of the neighborhood. 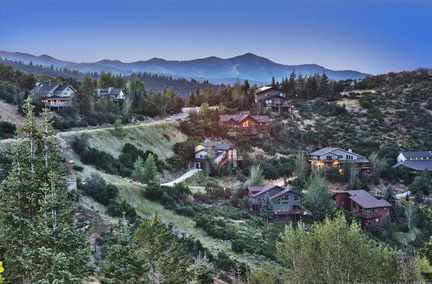 Pinebrook Park City, Utah real estate is popular for full-time residents due to the easy commute to Salt Lake City for work. For any questions, to schedule a private showing, or to help ensure your Pinebrook home or townhome is SOLD, contact The Wallace Team with Summit Sotheby's International Realty or Call/Text 435-901-2781. The lower area of Pinebrook holds numerous townhome and condo subdivisions such as Brook Hollow Village, Cedar Ridge, Pinebrook Cottages, Courtyards at Quarry Village, Elk Run, Horsethief Canyon, Pine Creek, Pinebrook Pointe and the new under construction subdivision named Quarry Springs. Each of these Pinebrook real estate neighborhoods has separate Home Owners Associations with unique rules, regulations, and HOA dues. We are local Park City realtors with over 26 years of experience in helping buyers and sellers in each of these Pinebrook subdivisions. It’s important to know the differences and we can help you find which Pinebrook real estate is right for you. Single-family home subdivisions in Pinebrook include Boothill, Eagle Ridge, Ecker Hill, Ecker Village, and High Meadows at Pinebrook. The higher mountain area of Pinebrook consists of upscale single home neighborhoods of Pineridge and Sunridge. Some of these homes have amazing expansive views. There are several vacant lots in these neighborhoods. 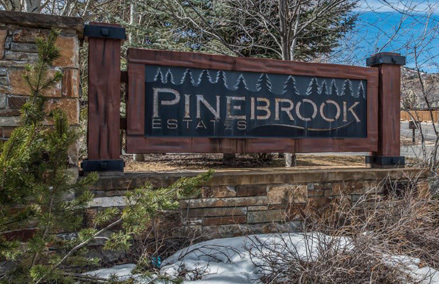 Let our team of Park City real estate agents help you find the perfect Pinebrook home. The Pinebrook area of Park City became famous in the 1930s and 1940s for ski jumping competitions. In the fall of 1928, members of the new Utah Ski Club set out to establish a ski jumping facility. They completed the jump by Christmas Day 1928 and hosted the first ski jumping tournament on the hill in February 1929. In 1930 it was officially named Ecker Hill in honor of Peter Ecker, acting president of the Utah Ski Club. During the 1930s and 1940s, Ecker Hill was one of a handful of world-class ski jumps in the United States. National meets were regularly held on the hill and several world records were set there. Large crowds of up to 9,000 people gathered to watch the events. Improved ski jumping equipment and techniques rendered the hill obsolete for world-class events by 1950. In the mid-1960s, a group of businessmen purchased the land that we now identify as the Pinebrook real estate area. After approximately ten years of planning, road and utility infrastructure began. Pinebrook was formed in 1977-1978. In the late 1980’s the existing Pinebrook subdivision and remaining undeveloped land was purchased by a group that then subdivided much of the land into smaller subdivisions of homes, condos, and townhomes, all within the bounds of the Pinebrook real estate area. The Wallace team with summit Sotheby's international realty can help you Find Your Way Home to Pinebrook and Park City Utah. Listing information last updated on April 26th, 2019 at 9:58am MDT.